To learn more about The Canalous and its activ­i­ty please ask for our 2018 – 2019 press kit. 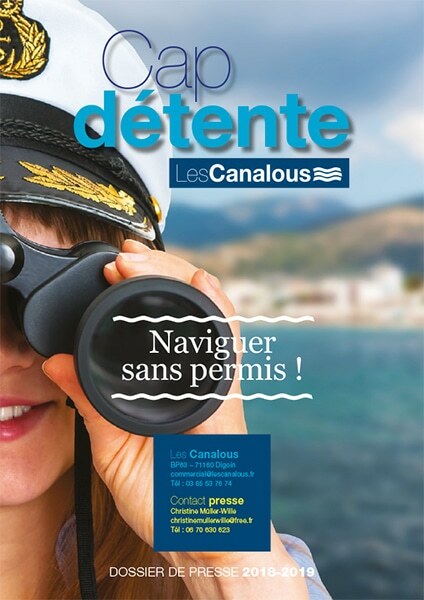 A fam­i­ly busi­ness hir­ing and sell­ing license free boats, estab­lished in 1982, The Canalous is a key play­er in French riv­er tourism. In this press release you will find all the nec­es­sary infor­ma­tion to organ­ise an orig­i­nal hol­i­day and enjoy our beau­ti­ful French regions in your own time.